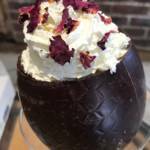 Who said Easter eggs were just for kids? 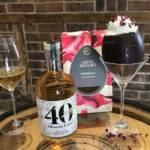 We recommend trying our wonderfully aromatic Albourne 40 vermouth alongside the Divine pink Himalayan salt Easter egg. 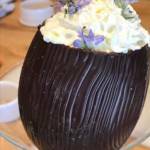 With 60% cocoa and a touch of salt, this egg is crying out for a refined and adult accompaniment. And if that’s not indulgent enough, serve alongside whipped cream mixed with vermouth to take it to the next level. We garnished ours with fresh rosemary flowers, yum yum. 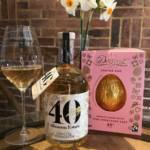 We also loved the Green & Black’s Dark Chocolate egg alongside the vermouth – with 70% cocoa it works really well with the sweetness of the vermouth. The key to a winning pairing in this instance is the sugar content. Wine is notoriously hard to pair with chocolate, as most wines are too dry to take the sugar in chocolate so end up tasting bitter. English wine, which is typically low in residual sugar, is no exception. 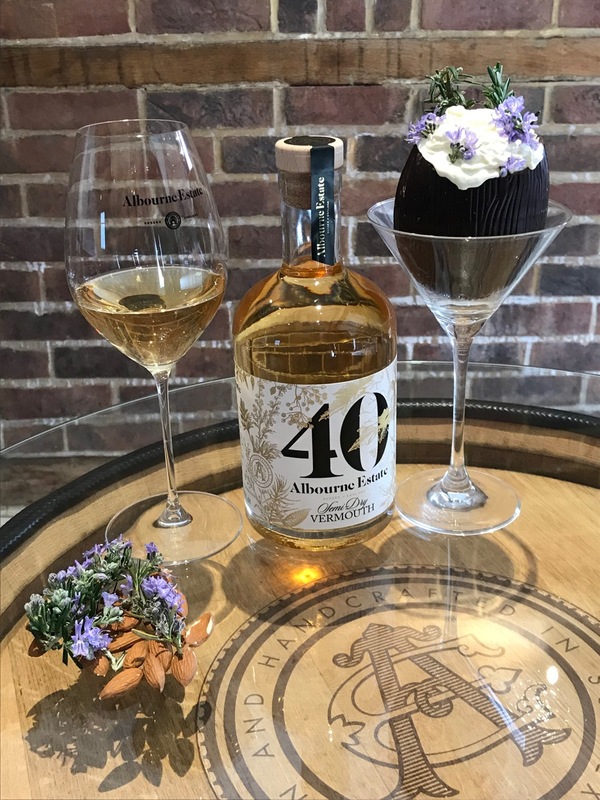 Our Albourne 40 contains just enough residual sugar to work wonderfully with high cocoa chocolate, which is typically less sweet. And the 40 botanicals in this vermouth ensure that this is a less than boring pairing. Dark chocolate never tasted so good.